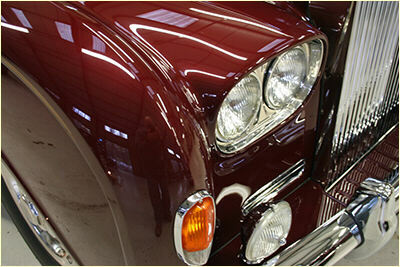 We can make sure that your car looks as good as new with paintwork to match the original standards. We undertake paintwork jobs from the smallest scratch or stone chip to complete bare-metal repaints. By combining the best quality paints with our meticulous attention to detail we can guarantee that the standard of our paint finishes are second to none. We are one of the few companies that can offer hand-brushed finishes and lining detail. You can be confident that the finish will not only look authentic but will closely match the original finish. Over the years we have worked on a multitude of makes and models and know how best to achieve the quality finish that your car deserves.